Fed Up With Corrupt Politicians, Can Brazilians Resist the Lure of Demagogues? 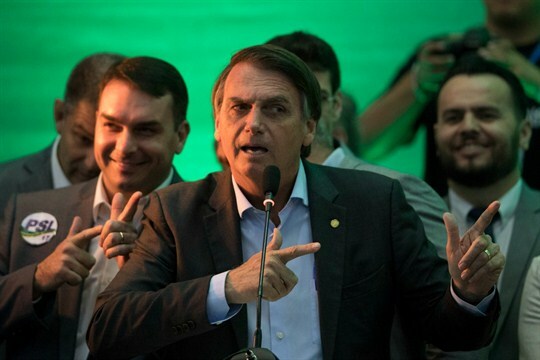 Presidential candidate Jair Bolsonaro speaks to supporters during the Social Liberal Party’s convention where he accepted the presidential nomination, Rio de Janeiro, Brazil, July 22, 2018 (AP photo by Leo Correa). With barely 10 weeks left until Brazil’s general elections, voters in Latin America’s largest country are seething with anger, frustration and disappointment. Many, perhaps most, have lost faith in democracy, in politicians, and in traditional governing parties. Prominent figures are warning of revolution; talk of a military coup is even in the air. Uncertainty leads the polls.